Appliance Testing Supplies manufactures its own test and tag labels using the highest quality materials, which is all 100% Australian made and owned. We have a complete selection of tags that range in strength and colours, as well as conforming to the test and tag requirements of AS/NZS 3760. We also supply printable tags for people that use a test and tag printer. These Heavy Duty Test Tags feature a unique self laminating PVC security flap to protect the printed information. They are also constructed from Cross-Laminated High Density Polyethylene, giving them superior tear resistance. Our Industrial Test Tags are one of the strongest self adhesive tags on the market and were specially formulated for harsh environments. They come with a unique easy clip that helps secure the tag in place for extra durability. New to Service Tags are specifically used for items that are new to service and which require testing and tagging in the future. They are highly tear resistant and have a unique self-laminating PVC security flap to protect the printed information. The Easy Clip Test Tag is the strongest and most durable tag available on the market, used primarily for heavy industrial use and the mining sector. Tags are supplied in packets of 100. 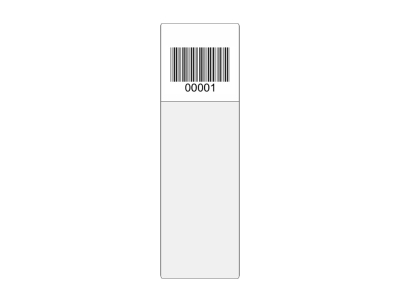 Barcode Labels are an easy way to identify leads and appliances in an inconspicuous way.